Streetdirectory.com Jalan Malu-Malu is located in Sembawang, a district in northern Singapore. 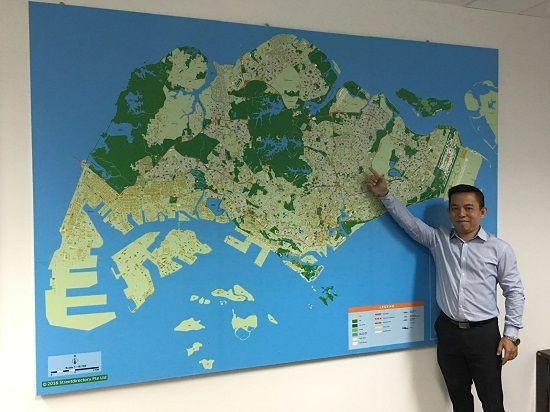 This residential district is home to not only HDB flats, luxury condominiums and black-and-white houses, but also to industrial giants like SembCorp and PSA. Sembawang Singapore is not all commercial buildings, though. It also has several recreational and relaxing spots like Sembawang Park, Orchid Golf Course and Seletar Golf Course. One attraction of Sembawang is The Bottle Tree Village, which is home to several plants like bottle trees, palms, grass trees and giant ferns that are imported from Australia. Another is the Sembawang Hot Spring, which is popular for its healing abilities.